Are you a beginner crocheter or just need refreshers from time to time? This crochet cheat sheet will be perfect for you to have handy with you when you crochet! 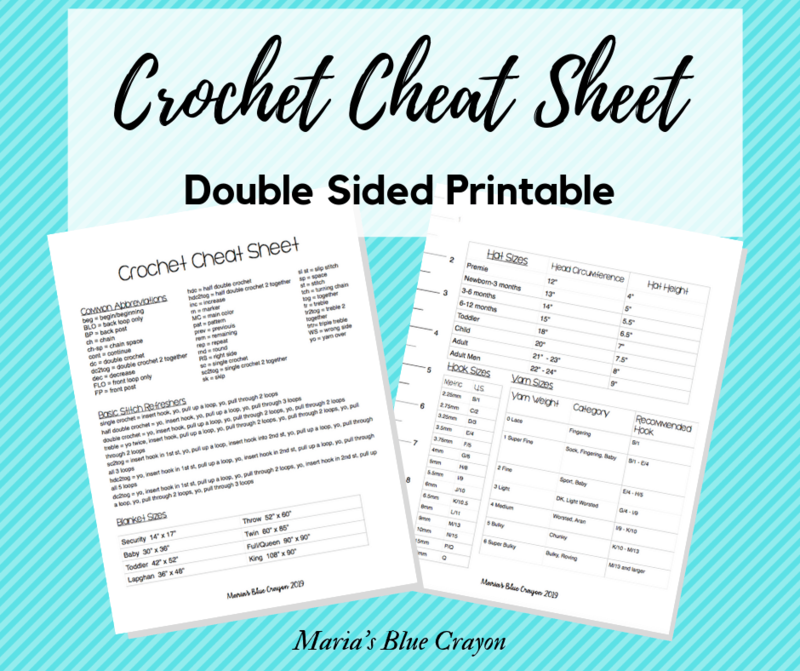 This crochet cheat sheet I have organized into a one page double sided print is available to print for free for all of my email subscribers! My favorite out of all of these handy notes are the hat sizing and ruler on the side! I don’t know about you, but I’m constantly loosing my measuring tape. I use a ruler a lot when I’m checking gauge and making hats, so this ruler on the side of this cheat sheet is a life saver for me! I also love that you can print this to be double sided so you only have one piece of paper. Personally, I fold it up and stick it into my crochet pouch where I hold all my yarny tools. However, you can laminate it if you have a crochet notebook and keep it there! You can also print it on card stock for a sturdier piece of paper that won’t rip easily. Ready to print your Crochet Cheat Sheet? Just sign up for my email list below and you will get it straight to your email! I promise no spam – I only email you when I have new free patterns or posts on my blog! You can unsubscribe at any time you’d like.